Happy New Year to the Planet! In a major breakthrough for exoplanet discovery and exploration, the Gemini Planet Imager (GPI) is proving to be one of most powerful and effective instruments ever invented for directly imaging planets in orbit around other stars. An artistic conception of the Jupiter-like exoplanet, 51 Eri b, seen in the near-infrared light that shows the hot layers deep in its atmosphere glowing through clouds. 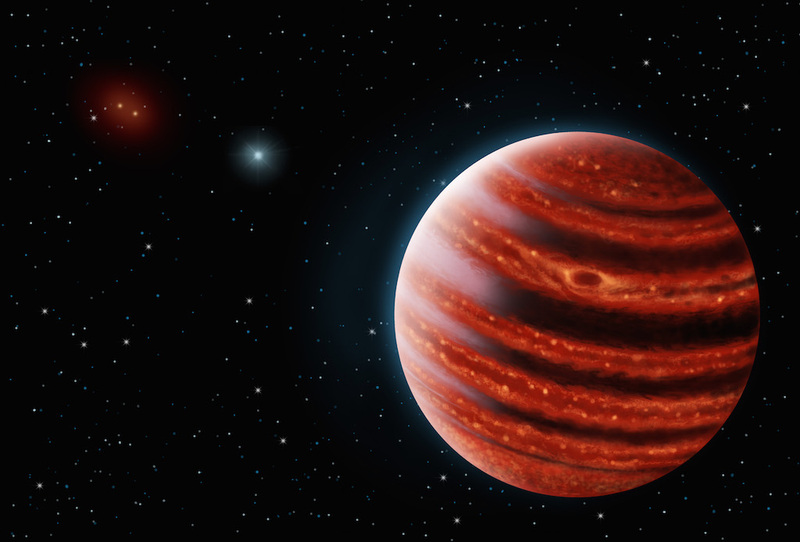 Because of its young age, this young cousin of our own Jupiter is still hot and carries information on the way it was formed 20 million years ago. The behind-the-scenes story of this project sheds light on the complexities and challenges of designing and building a truly game-changing instrument. We started work more than thirteen years ago under the leadership of Bruce Macintosh and the auspices of the Center for Adaptive Optics. 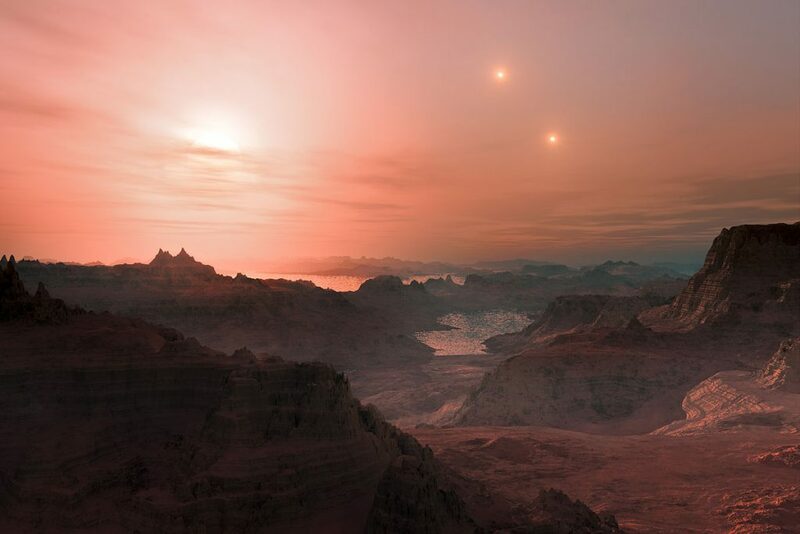 At that time, a number of scientists, most from California and Canada, met to discuss building a groundbreaking adaptive optics (AO) system powerful enough to confront — and overcome — the challenging of directly collecting photons from young Jupiter-like exoplanets. The discovery of 51 Eri b, which was announced last August, is the culmination of that effort. Today, GPI is fully operational and in the process of observing ~600 bright and nearby stars as part of an 900h-survey to search for exoplanets and their circumstellar disks. 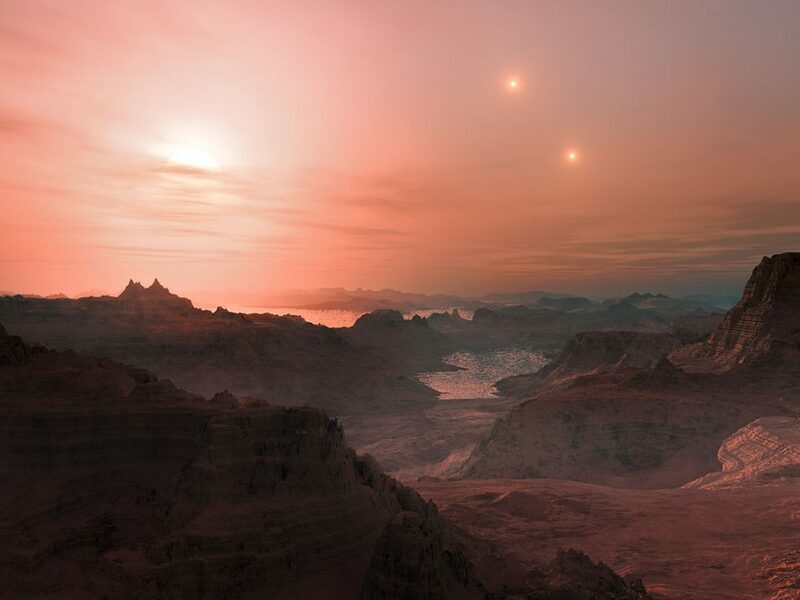 There’s no way to predict how many we will find, but the survey has already generated interesting and groundbreaking data — allowing scientists, for example, to study exoplanet Beta Pictoris b. The little white dot moving in the video above is the faint glow of this young and warm exoplanet, which is 60 light years away and was observed nine times by GPI between November 2013 and April 2015. Collecting an image of this planet and its star allows us to infer the orbit and composition of the planet, and measure its temperature. In time, GPI and its successor instruments will allow us to do far more. 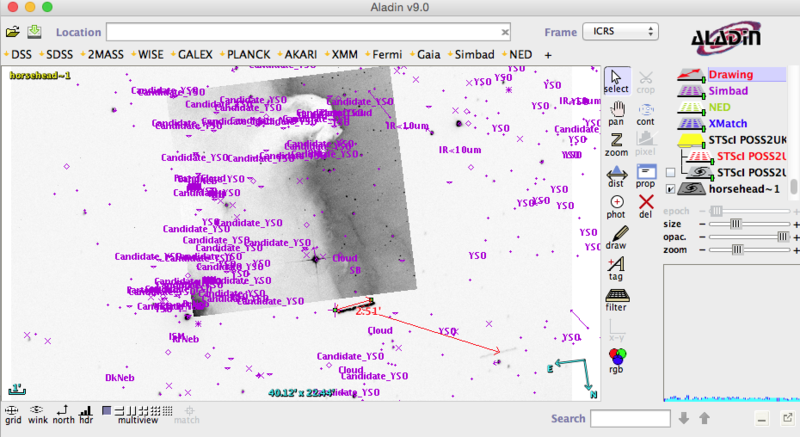 Images like these make us confident that another revolution in human understanding of the cosmos has begun. Twentieth-century astronomers fundamentally changed our understanding of the universe and our place in it when they mapped asteroids, comets and satellites in our solar system and beyond. Their twenty-first century counterparts have begun work on what may well be an even greater revolution by expanding our knowledge of the Milky Way and mapping far more distant objects such as stars and exoplanets. We’ve just begun work on this difficult but revolutionary task. GPI and the next generation of ground- and space-based telescopes equipped with advanced AO technology are the key to finding earth-like exoworlds, including ones that other forms of life may call home.